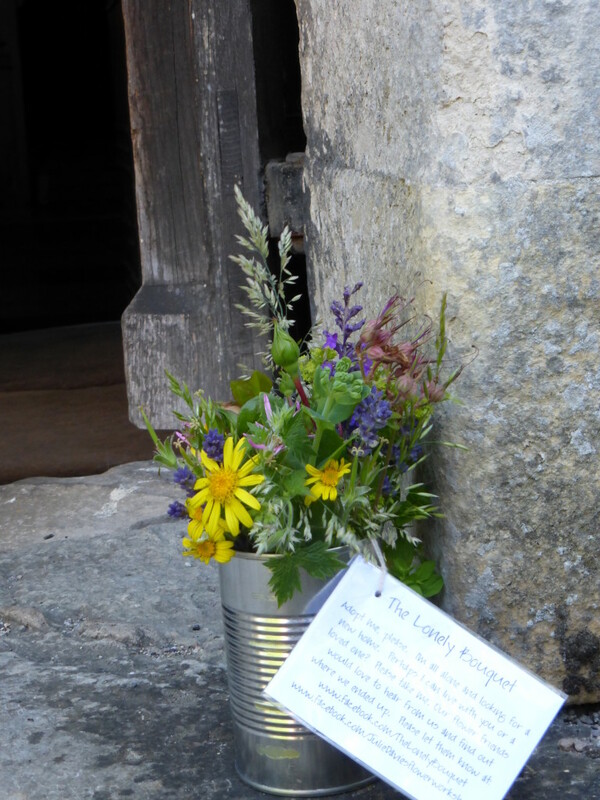 Last year I took part in the first international Lonely Bouquet day. 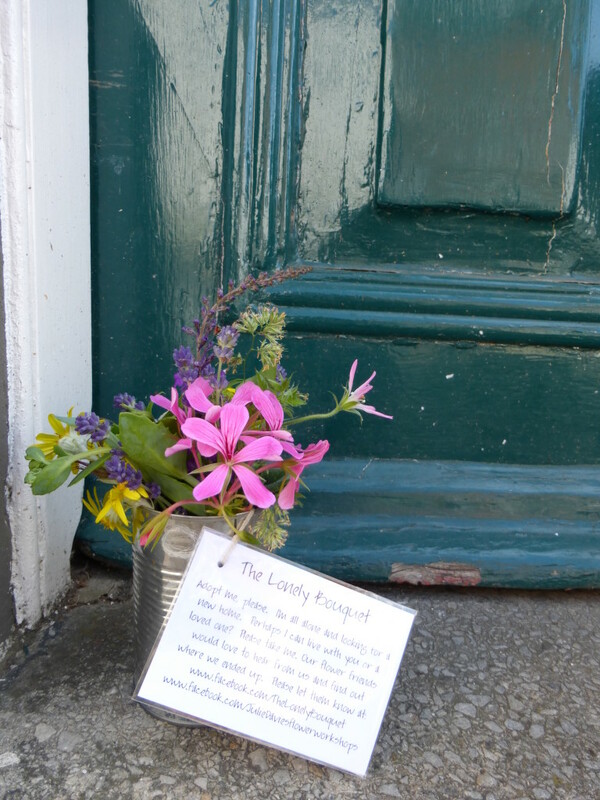 This was an initiative championed by Emily at Fleuropean to spread random acts of kindness. 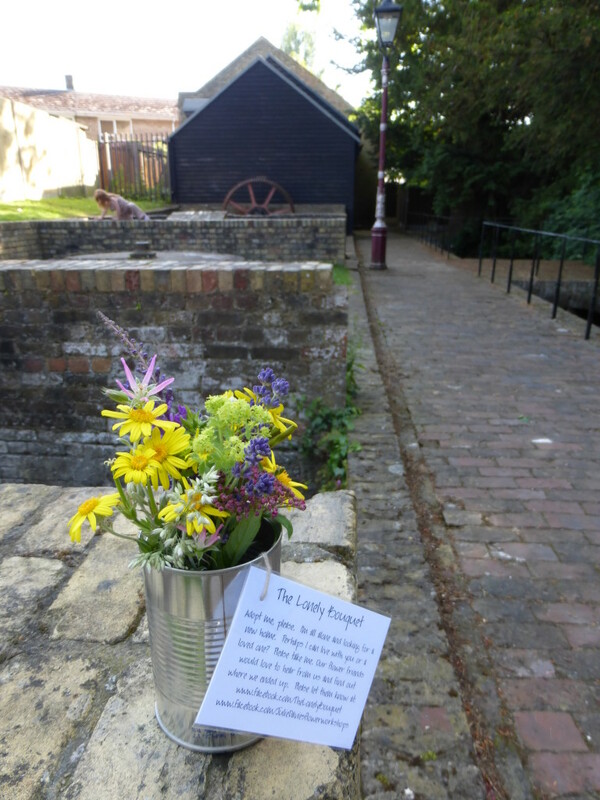 I have dug out some photos of the Lonely Bouquets that I left in Faversham . This year NAFAS (The National Association of Flower Arrangement Societies) is promoting National Flower Arranging Day on Friday 2 May 2014 by encouraging flower clubs across the country to set up flower displays in their community to encourage new members to join their clubs. Faversham Flower Club has arranged a display at Creek Creative – the art gallery in Abbey Street. Why not go down and have a look? You might find a Lonely Bouquet to take home and enjoy. I never did find out whether any of my Lonely Bouquets were adopted. Did you pick one up? Faversham Flower Club meets on the second Tuesday of the month at the West Faversham Community Centre.